State University of New York Press, 9781438455082, 290pp. 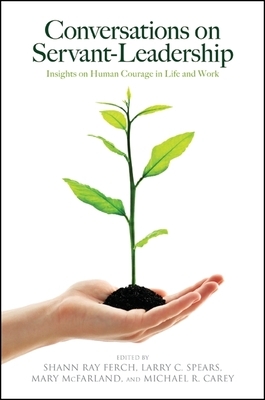 In a world where organizations and leaders face conflicts and complexity at an alarming rate, where human cruelty sometimes dominates kindness in individuals and families, and where nations hover in the shadow of moral and financial collapse, how do we find courage to forge a strong and enduring path into the future? In this book, fourteen of the world's foremost thought leaders consider the role of leadership, love, and power in the midst of political and social upheaval. Included are interviews with former president of the Philippines Corazon Aquino; servant-leaders Margaret Wheatley, Ken Blanchard, George Zimmer, and James Autry; and others. They engage the significant leadership questions of our time and reveal an uncommon and life-affirming path toward families, organizations, and nations imbued with generosity and meaning. Shann Ray Ferch is Professor of Leadership Studies at Gonzaga University and author of Forgiveness and Power in the Age of Atrocity: Servant-Leadership as a Way of Life. He is also the editor of the International Journal of Servant-Leadership.Larry C. Spears is CEO of the Spears Center for Servant-Leadership. His many books include The Spirit of Servant-Leadership, coedited with Ferch.Mary McFarland is Director of Jesuit Commons: Higher Education at the Margins.